Every year you probably ransack every shop, stall, display shack etc. 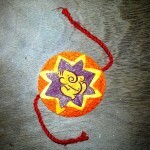 for the best and the most unique rakhi for your beloved brother. However, this year,after hours of careful inspection, if you have found the best but not quite the ‘unique’ rakhi you were hoping for, fret not.A special celebration such as Rakhi surely deserves something more than special. That being said, why not do it yourself at home? 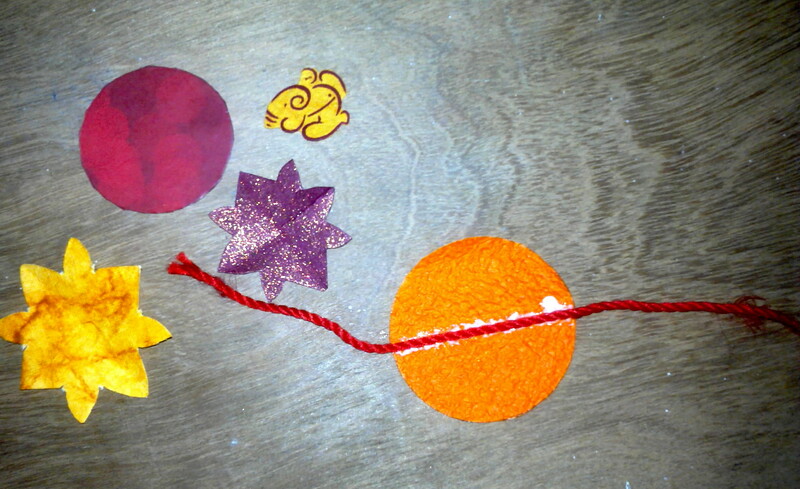 Thick or hard paper to form the base of the rakhi. You can either use thin cardboard or the cover of an old notebook. 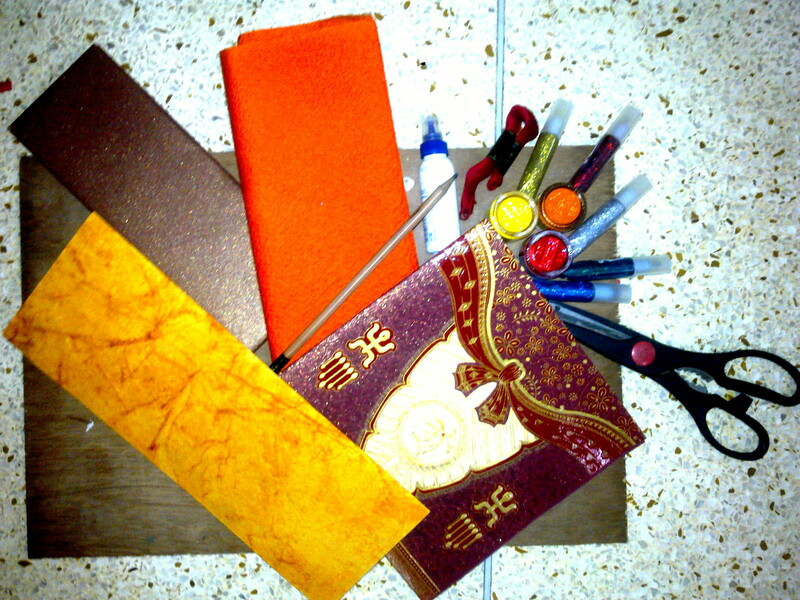 Coloured drawing sheet(s), preferably the auspicious colours such as red or orange or the combination of both.But not necessarily you have to stick these colours (avoid black and grey by all means).You can even use handmade paper for this for a more decorative look. 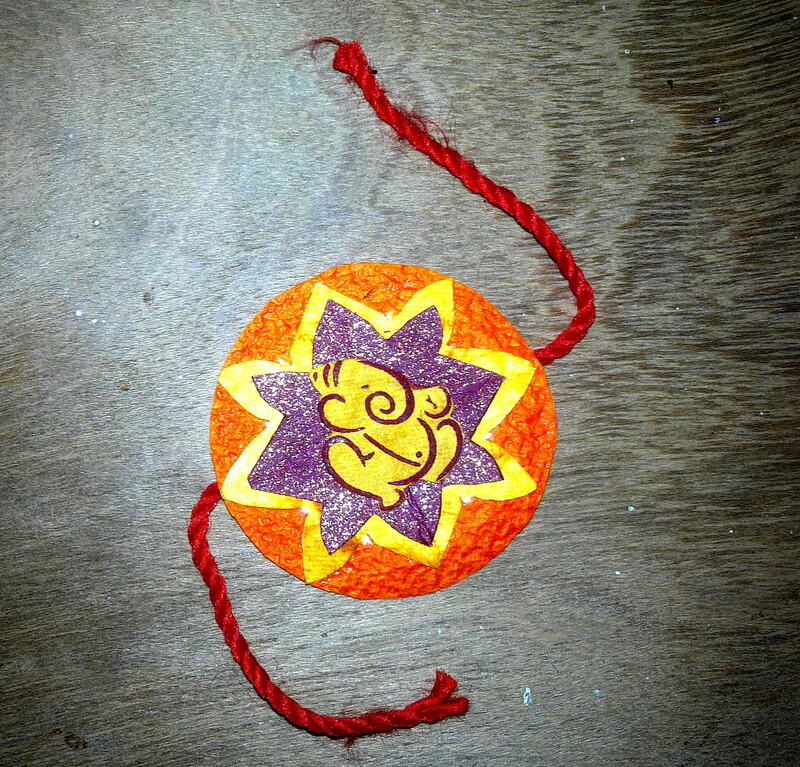 Decorations: Since this is an auspicious occasion, best choice would be Ganesha or Mangal Kalash. You will find them on old wedding cards, dry fruit boxes and even old rakhis. 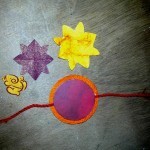 String: Go for mauli thread. 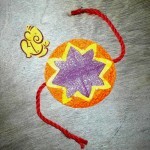 If you can’t find it at home then you can use red, yellow and orange embroidery threads. You can even use the threads which come with the wedding cards. 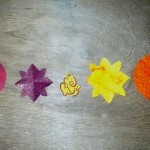 Acrylic paints or glitters for decoration, adhesive glue, a compass or a big enough round bottle cap and scissors, an old circular rakhi for inspiration. Use the compass or the round cap to make a circle on the cardboard or thick paper then carefully cut it for the base. For a neater look, cover the cardboard base with red paper. Stick the string on the base and keep it aside for later. Next, cut the coloured/handmade sheet in as lightly bigger size than the base. 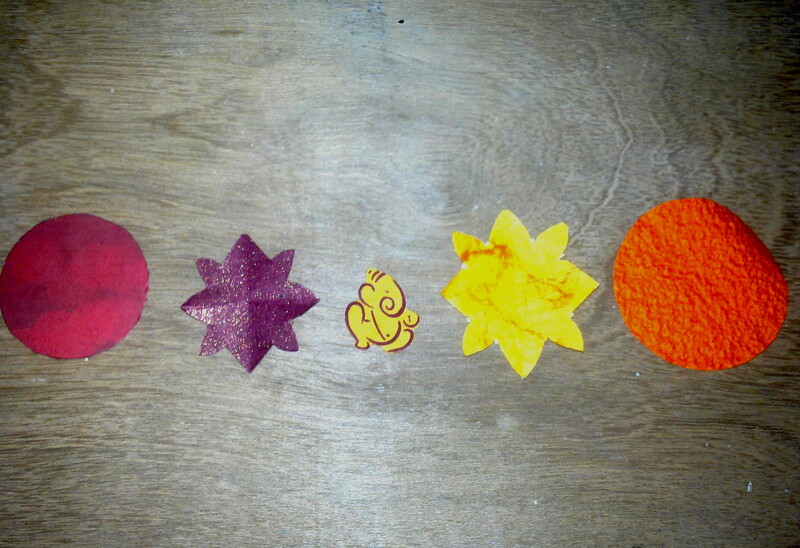 Neatly cut out the Lord Ganesha or Mangal Kalash image from the wedding card and keep it aside. In case you do not have a wedding card for the images, you can cut out flowers from the unused portions of the coloured/handmade sheets. Once all the cutting is done, first stick the circular coloured sheet on the cardboard base in a way that it is centrally placed. Face the string side up so that it falls between the cardboard and the sheet. 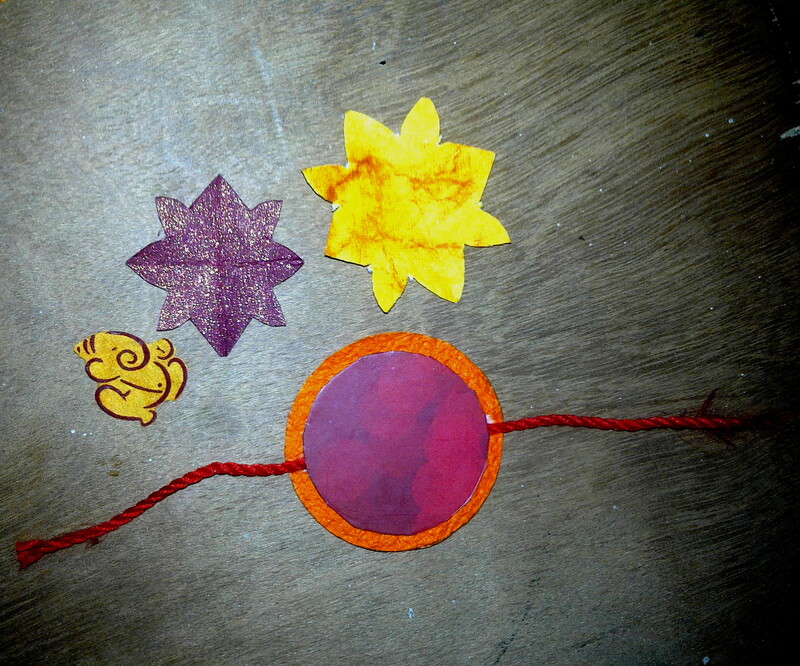 Then stick the image/flower on top of the circular sheet. Make sure this too is placed exactly at the center to make it look symmetrical. 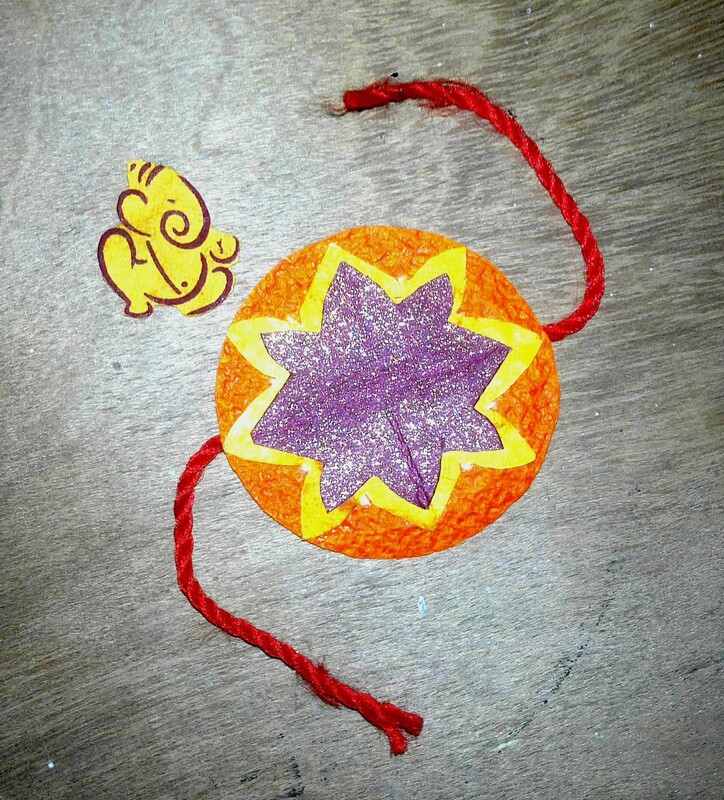 Move on to do the decorations with the help of the acrylic paints/glitters, but only if you feel it is required; do it to balance out the missing element.Too much of decoration can make your rakhi look gaudy. 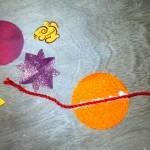 Let the paint/glitter dry completely before you put the rakhi to use. 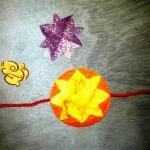 Raksha Bandhan is the day we celebrate the special bond we share with our siblings. The bond is so deep rooted, that no matter what, a brother will always stand tall and strong to love and protect his sister from all atrocities. This incomparable bond is fastened all the more when the sister ties a rakhi on her brother’s wrist, asking him to keep his promise until the end. Here’s wishing all brothers and their sisters a very blessed and happy Raksha Bandhan! This is such a great website. please check out our website at thank you and have a great day.